If I had or if I could give it 10 stars but I only have 5 I hope to continue negotiating with him I recommend it. Клещи понравились, опробовал в работе-автомат, переключает только вкл-откл! Надеюсь прослужат долго, пока впечатления отличные! The Digital Non-Contact Infrared Thermometer is a reliable device used to measure the surface temperature of an object safely and quickly. 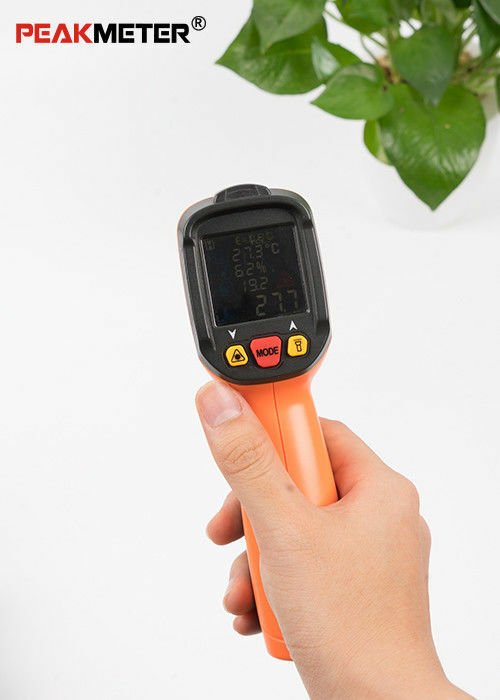 With many other useful functions, this item is more practical than common infrared thermometer. It is extremely Handy, Consistent & Versatile for Instant Temp Readings in performing auto maintenance, testing refrigerator temperatures, air leaks, cooking, barbequing, medical, and doing other home repairs. The auto power-off can be done after the data showing for 5minutes. 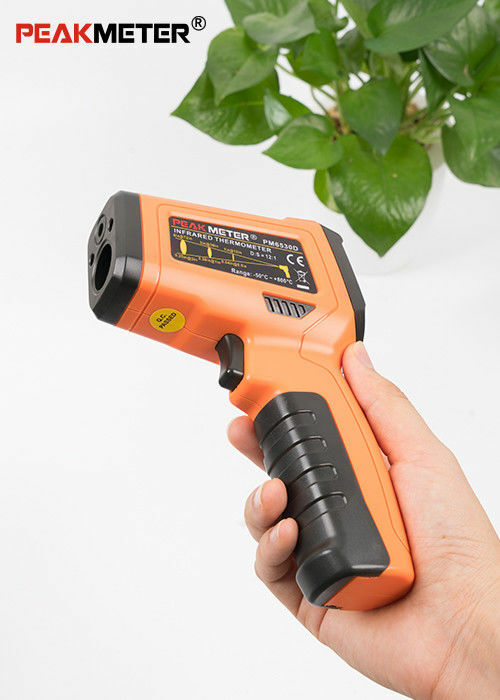 PM6350D with UV light can be used to detect the leakage of vehicle air conditioning and other high pressure systems. We aim to produce intelligent instruments, provide high quality services, and become an innovative manufacturer. 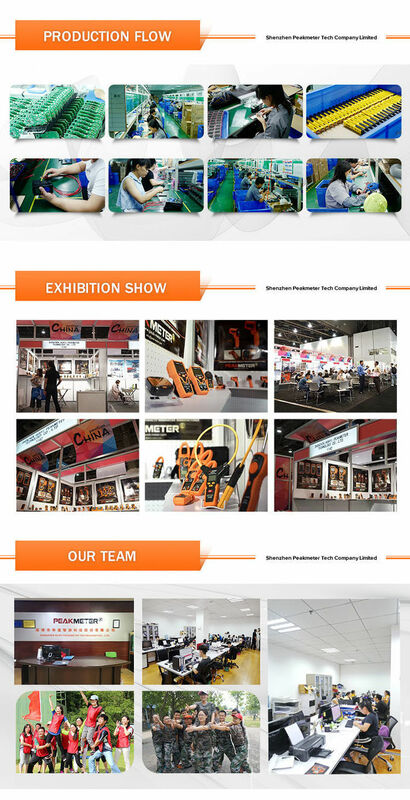 Our R&D team have over 20 years R&D experience in instrument industry . Our mission is to get our work done well to become customer’s reliable business friend. S.E.Q( Service , Economic pricing , Quality ) is our concern , we know what you need ,and we know what we have . 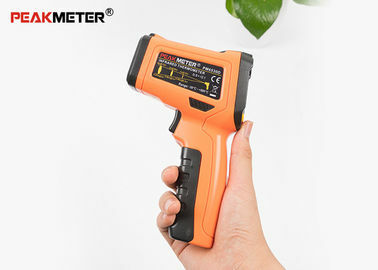 Shenzhen Huayi Instrument Co.,Ltd is one of the most famous Digital Measuring Instrument Manufacturers in China.It is a National recognized High-tech Company, authorized by Chinese& Shenzhen Government and also a prestige Brand of measuring Meter industry. Technology, Innovation, Customer Satisfication is our culture and eternal pursuit, also is the drive of our sustainable development. 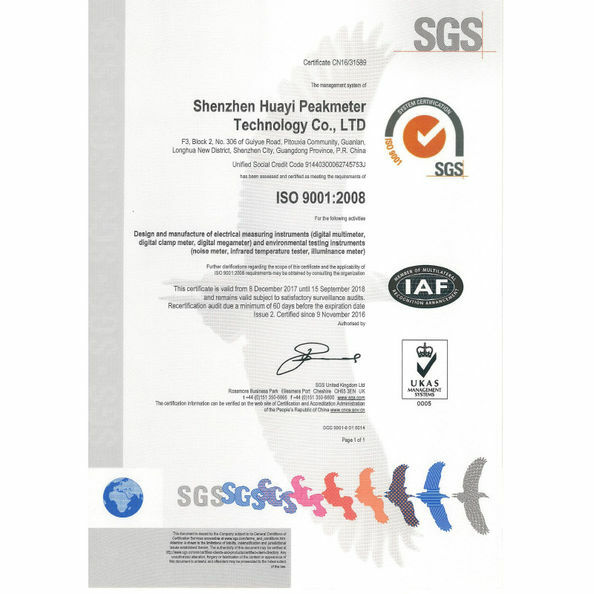 Over 20 Years professional R&D Team to ensure our products with advanced technology. Attention : PEAKMETER Wechat Public Account has been online. 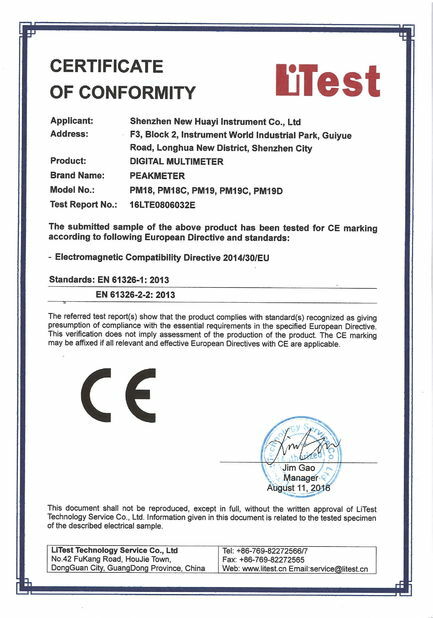 China Good Quality Handheld Digital Multimeter Supplier. Copyright © 2018 - 2019 peak-meter.com. All Rights Reserved.